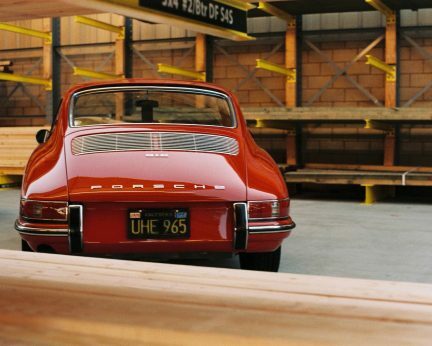 1949 Porsche 356 SL Coupe. 1965 Alfa Romeo GTA Corsa. Precisely once a year, a curious, exponential roar echoes from the storybook streets of Carmel-by-the-Sea and Monterey’s legendary Cannery Row, à la Pulitzer Prize-winning author John Steinbeck. It’s the thousand rumbles of a Lamborghini Miura SV and a McLaren P1. The purr of a 1956 Jaguar D-Type and the hushed hum of a 1927 Rolls-Royce Phantom once owned by Fred Astaire. It’s a symphony of past and present; touring and racing. Elegance and muscle. 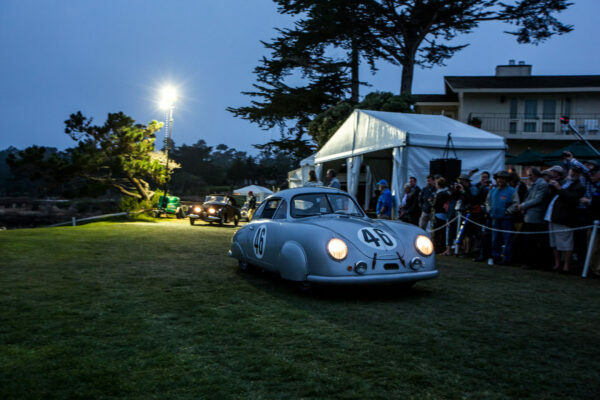 Several events make up Pebble Beach Automotive Week, which culminates in the grand finale, the Pebble Beach Concours d’Elegance—a day that enthusiasts call one of the most prestigious automotive events and competitions in the world. 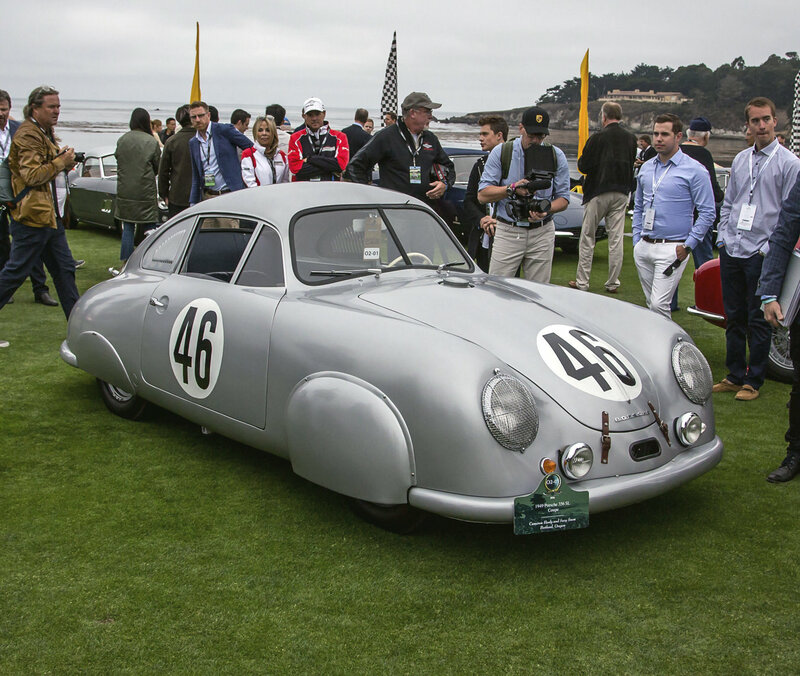 But first there is the Werks Reunion at the Rancho Canada Golf Club in Carmel, which presents a sea of German history as Porsche clubs, devotees, and owners gather to celebrate Porsches new and old. Porsche Cars North America president and CEO Klaus Zellmer animatedly speaks of the brand’s racing heritage, and its homage to their race cars of the ‘50s and ‘60s with the unveiling of the new 2017 Porsche 718 Boxster. Not far from Zellmer is the display of a 2005 Carrera GT, where the owner muses that it’s not a car he takes to Costco, as small crowds gather to gawk at its mint condition. It’s appreciated by over $300,000 in the eight years he’s owned it—an investment perhaps comparable to the real estate market in Vancouver. A Champagne-soaked garden party of The Quail, A Motorsports Gathering is a splashy affair; Bugatti shows off a new French blue Chiron, while Bentley arrives at the party showcasing the Bentayga. 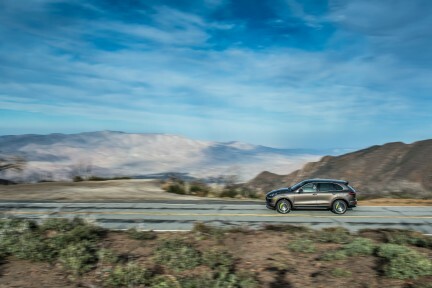 The lavish celebration of iconic racing marques and the motoring lifestyle set against the Santa Lucia mountain range does not disappoint, as over 250 amazing motorpieces of art are postured alongside each other. Porsche, Ferrari, Singer, Rolls-Royce, BMW, and Lamborghini are all present; really, the interior of the Pagani Huayra BC alone is worthy of an exhibit at New York’s Museum of Modern Art. 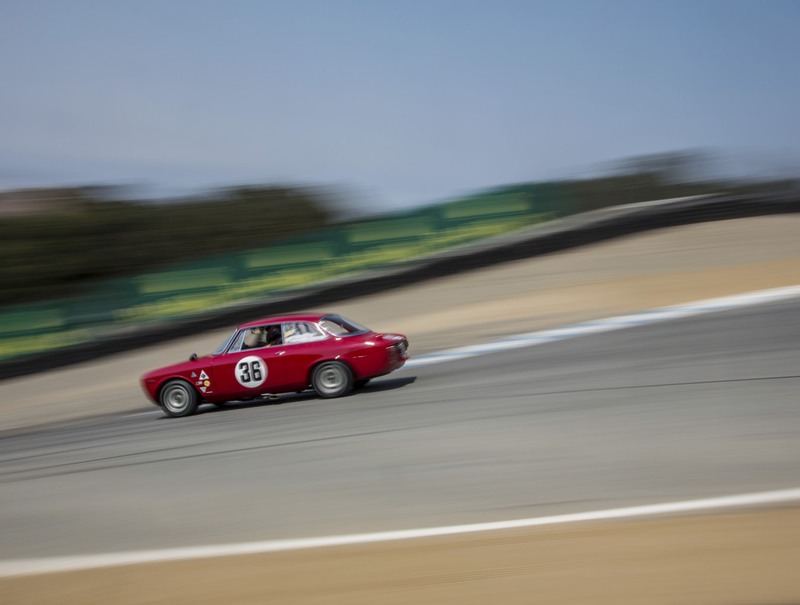 Keeping the drive alive is the adrenaline-charged Rolex Monterey Motorsports Reunion at the Mazda Raceway Laguna Seca. Racing is at the core of this continued celebration of automotive design, engineering, and camaraderie among fellow aficionados. It’s a chance to see what it takes to win the arduous 24 Hours of Le Mans two years in a row with the important innovations of the Porsche 919 Hybrid on display. 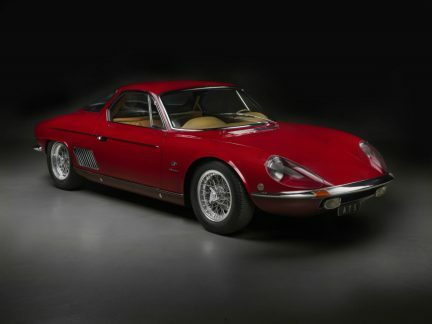 If cars are art, as many argue they are, then there is no more significant exhibit than Pebble Beach Concours d’Elegance’s ultimate competition of grandeur. In the early dawn, the craftsmanship of bygone eras is rolled onto the famous 18th fairway of the Pebble Beach Golf Links: the sweeping seaside cliff serves as a stunning backdrop to the extravagance of the day. As the fog lifts, the crowds stroll the fairways and the judges poke, prod, and take notes on the most sought-after collectibles on the planet. 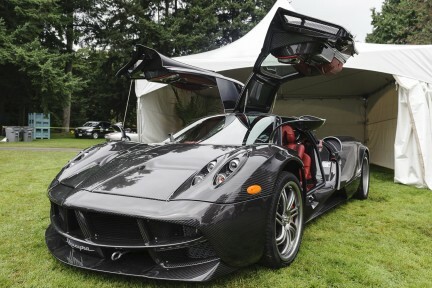 Concours couture is decidedly tough competition for these cars: bespoke bowties, pocket squares, and braces. Borsalinos and Parisian berets. Period dresses and fancy petticoats. The Concours clearly needs a dedicated catwalk. Collector and retired talk show favourite Jay Leno is in his element, as is the highly decorated race car driver and Porsche loyalist Hurley Haywood, who is generous to share his stories and his love of the event that has grown in popularity every year since 1950. Celebrating its 100th anniversary, BMW creates a buzz with the full restoration of Elvis Presley’s white 1957 BMW 507 in attendance at the Concours. It was raced by Hans Stuck before ending up in a Frankfurt dealership, where the King of Rock n’ Roll was stationed as a soldier at the time. (The white drop top didn’t stay white for long, as red paint became a solution to counter the swooning fans that used it to write their phone numbers in lipstick.) A 1936 Lancia Astura Pinin Farina Cabriolet is driven through flying confetti and exploding fireworks by its gob-smacked owner Richard Mattei. His immaculate Lancia is announced as the 2016 Best of Show, a coveted prize and an artful finale to these days of auto splendour. Print is not dead. Buy your copy of our Winter 2016 issue.